Police officers William Sloan (Caulfield), Tommy Cuff (Nguyen), and Ali Weston (Loveday) are more than just your average cops. They grew up together, trained together, and graduated the academy together, all at the top of their class, with their own individual specialties. They have a strong bond, and that bond will be tested to the limits when a corrupt DEA agent, Dante (Nouri) tries to set them on a path to their ultimate ruin. When another official, Mitchell (Saxon) comes in to investigate, he realizes something fishy is going on. Dante, against the warnings of their Captain, Stark (Travolta), made them a special team to investigate drug runners, setting them up for a fall. While each member of the team has their own personal demons to confront, will they be able to outsmart and out-shoot the bureaucratic forces lined up against them? Much like a busy day at the Stop & Shop bottle return room, will it be NO ESCAPE NO RETURN? PM’s batting average remains high with this very enjoyable and entertaining outing. It’s gems like this that made going to the video store fun - trying new titles, never knowing what to expect, and sometimes finding a winner. Items like No Escape No Return kept the odds in your favor. We appreciate that. NENR (don’t kids tease each other by saying “neener neener neener”?) was essentially the culmination of writer/director Charles Kanganis’s time at PM. It does appear to be the end of his education and evolution there, as he seems to put all he’s learned onto the screen, with winning results. Coming hot on the heels of his Traci Lords diptych, A Time To Die (1991) and Intent to Kill (1992), here Kanganis goes full-throated action and makes no apologies for it. There’s a ton of action, the stuntwork is top-notch, the movie is shot and directed well so you can see all of what’s going on, there are shootings, high-quality blow-ups, and beat-ups constantly, and two of our favorite settings for action are, of course, here: the disco and the bar. The disco scene features some very cool slo-mo and the bar, of course, is the place for the time-honored barfight (which, in classic form, is instigated by some racial slurs that you would never hear today in our stranglingly PC world). As if all that wasn’t enough, we have a stellar cast of familiar faces to keep the whole ship buoyant. Dustin Nguyen’s “back’s against the wall” once again, as it was in 21 Jump Street, and it’s hard to find a cooler moment in our recent memory than him, dressed in a black leather jacket, with fingerless gloves, and shades, holding double handguns and he takes down the bad guys. 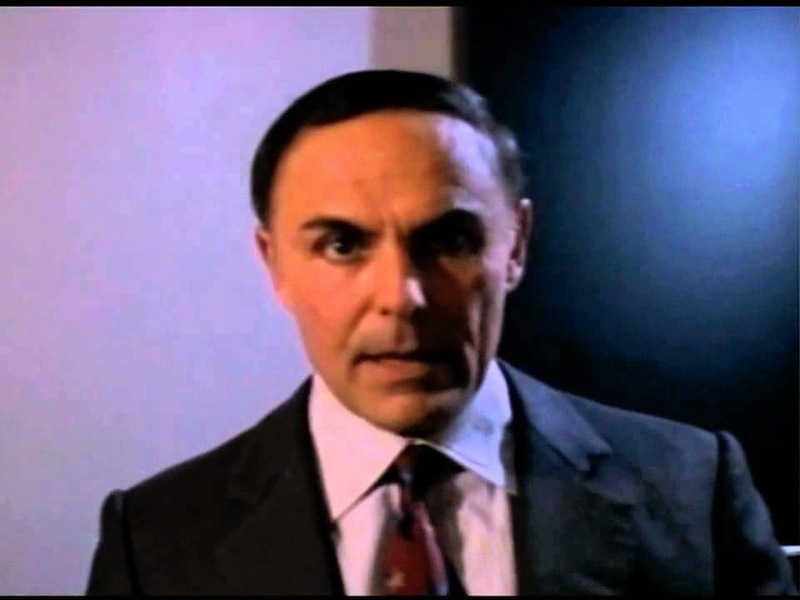 Fan favorite John Saxon resembles Rudy Giuliani, Joey Travolta resembles...I mean, does his part (mainly delivering exposition) quite well, and Michael Nouri looks like he’s gotten a haircut. Even mainstays Robert Miano and Real Andrews get in on the fun. And we’ve gained a new respect for Maxwell Caulfield. Far from being just a cross between Jeff Fahey and C. Thomas Howell, his performance is also cool and great. For PM fans, this movie will certainly put you in mind of Maximum Force (1992) - but NENR has a unique character all its own. Maybe that’s because Kanganis places emphasis on character development - there’s more of it in the first five minutes of this movie than a lot of other action movies combined. So you always care about these people and what happens to them. If that wasn’t the case, all the car-flipping-over-in-the-middle-of-the-street-and-blowing-up stunts wouldn’t mean a thing. So, we applaud all involved with No Escape No Return (not to be confused with No Retreat, No Surrender) - it delivers the goods. I agree, another solid PM movie. I was also surprised by Caulfield doing so well. Caulfield stood out in this. He should've done more PM action. Happy we have this though. It was a blast to watch. 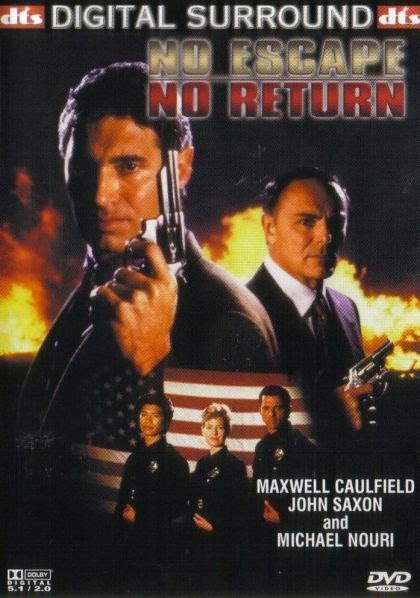 I saw this, I remember it had a gritty vibe, lots of action and not quite enough john Saxon. Also, and this shows its era, they we're serious about their smoking - at home, on the job, in the car, in the washroom. wouldn't see that now! Can't agree more! The 90s were a great time where you can still smoke and say casual racism (Haha) without the PC police on your back. Definitely needed more Saxon and his "hair". Thanks for your comment, stranger!